Recommended for Floors under 20,000 Sq. Ft.
ECS Model, #CT70ECS. Two Speed 180 RPM & 600 RPM. Two (2) 6 volt batteries for 145 Amp Hours or 2.0 Hours of Run Time — Scrub over 35,000 sq. ft. per charge. 19 Gal Solution, 20 Gal Recovery Tank. Dimensions: 194 lbs., 48″ x 30″ x 38″. Self-propelled forward and reverse. Brushes (2), Batteries (2) and Charger included. 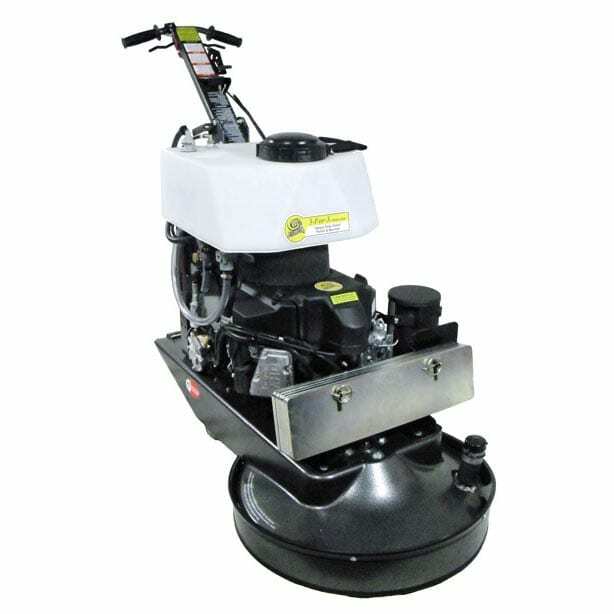 Compact, High Performance Machines that will handle 95% of all your floor care needs. From the flooring professionals to independent business owners, the CT70ECS provides the features, performance and size for exceptional productivity in both tight areas and wide open spaces. 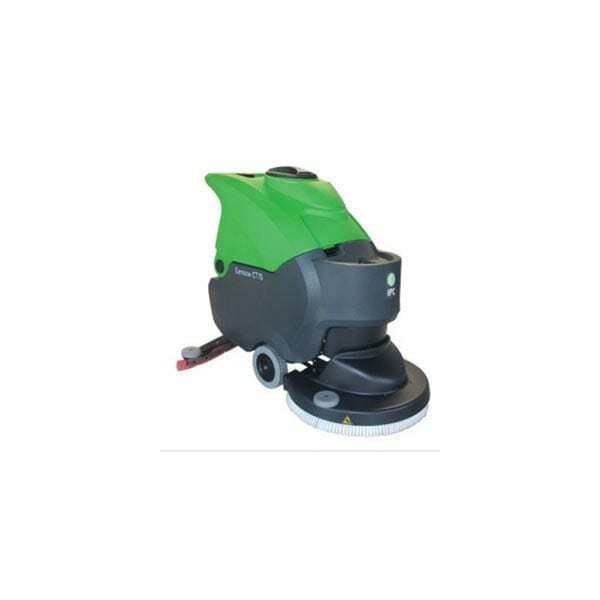 This versatile dual pad & brush machine will go where larger scrubbers can’t while cleaning floor better and with less cost. With two speeds (180 and 600 rpm), the CT70ECS provides you with a traditional scrubbing machine (@180 rpm) and all of the benefits of an ECS machine when used @ 600 rpm. Complete with SLS (Self Leveling System) to automatically adjust brush pressure. Purchase your selection(s) and click the Buy Now button to add or save your item(s) to the Shopping Cart. Once added, you can add or delete any items or change the quantities. Double Your Productivity, Triple Your Shine . . .
Reduce Labor 30 – 50% AND Chemical & Water Usage by 80 – 90%! And the ECS High Speed Scrubbers Do It All . . . But Polishes the Floor as it Cleans . 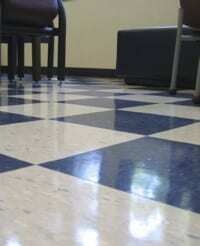 . .
Eco-Friendly ~ Mechanically Cleaning & Polishing without Chemicals (or with at least 80 – 90% less). 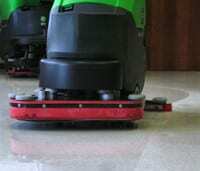 A mechanical approach to cleaning and maintaining a floor. The ECS High Speed or Mechanical Cleaning Approach reduces both chemical and water consumption by 80-90% WHILE reducing labor time by 30-50%! The Ultimate Greenest Machines on the planet – And in your budget! 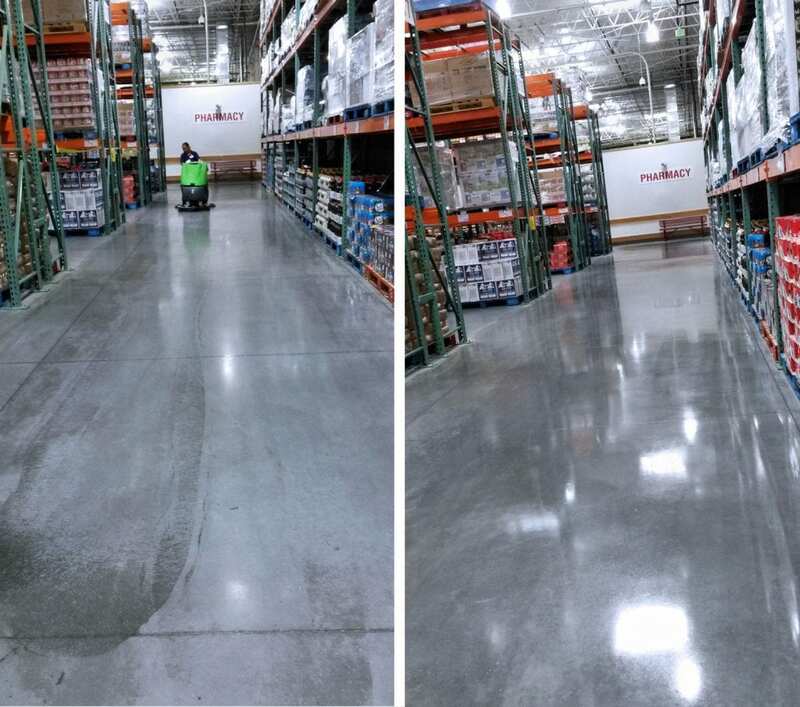 Whether you are creating a new look polished floor or maintaining an existing floor, the ECS High Speed Scrubbers create and maintain the life of your floor from start to finish. ECS 600 RPM Auto Scrubbers – The world’s 1st Automatic Scrubber that Cleans and Increase the Floor’s Shine Every Time to Clean. 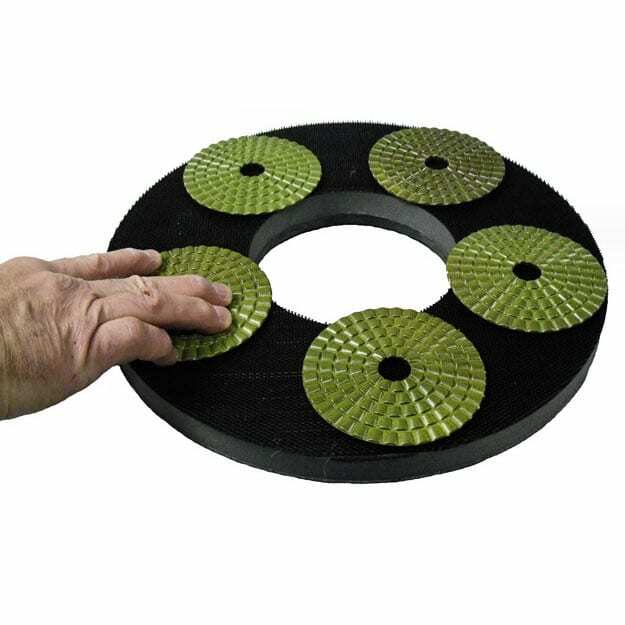 Clean, Scrub, Vacuum & Polish Floors – A unique, intelligent & extremely cost effective design that enables you to Clean, Scrub and Increase a Floor’s Shine – In Just One Pass! CLEAN IN THE DAY TIME – DURING BUSINESS OPERATIONS. Businesses today are looking to save in everyway possible. By allowing cleaning crews to clean during the day, heating bills are reduced as well as reducing any extra security. When an ECS Scrubber is used during daytime operations, by using 80 – 90% less water and chemicals – and with one of the best, if not the best “V-Grooved Squeegee”, drying time is the absolute fastest in the industry. 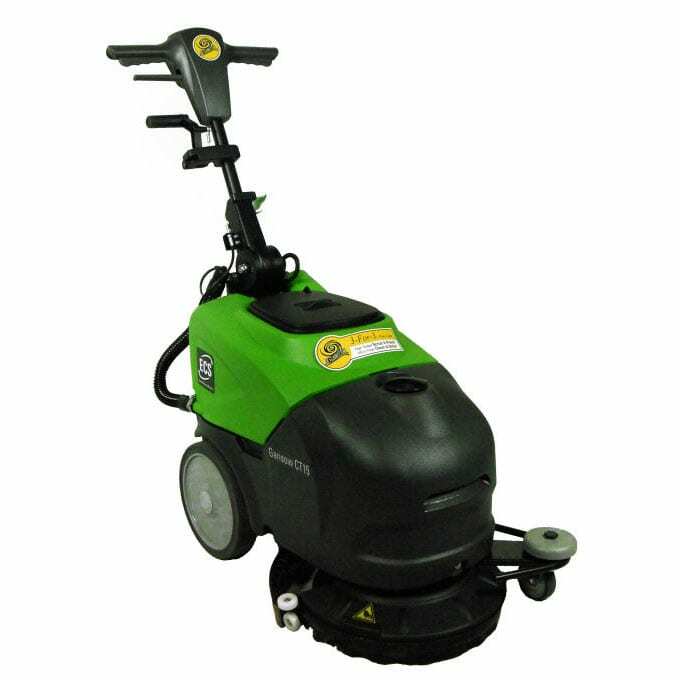 Both models are compact high performance machines that will accommodate over 95% of all your floor care needs. For the flooring professional to independent business owners, these two models provide the features, performance and size for exceptional productivity in both tight areas and wide open spaces. From the highly maneuverable and compact CT15ECS to the extremely productive CT70ECS, these two machines are designed for easy operation, maintenance and are very affordable. Exclusive Squeegee System assures high performance – Equipped on All 5 Models. 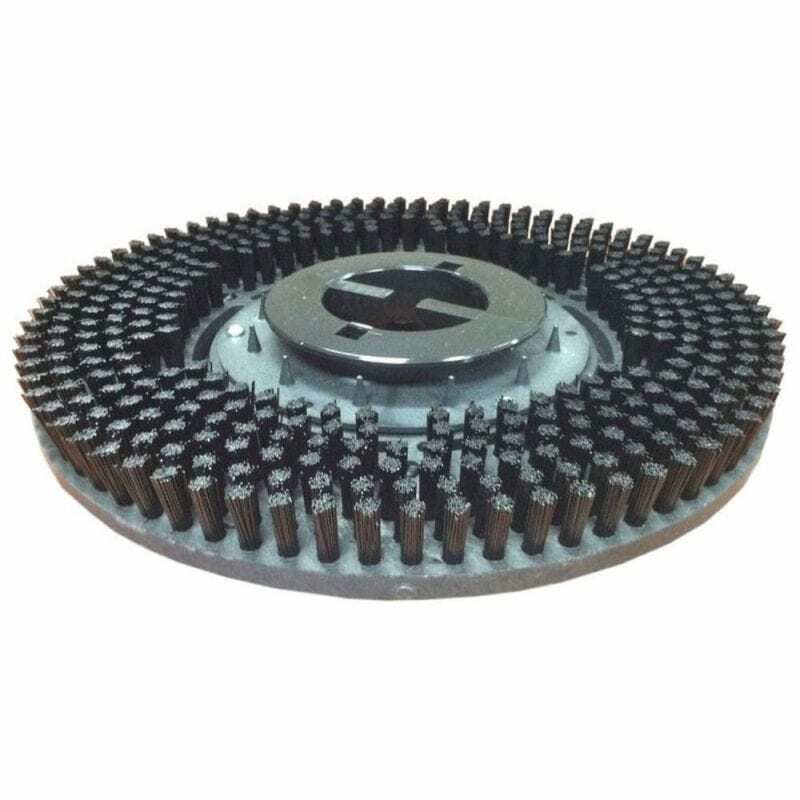 Incomparable drying results even on the most difficult surfaces due to a very unique design. Blades are used on 4 sides before replacement. No Tools to Install or Remove the Squeegee nor to change the Blade’s Pitch Adjustment. You want a slight backwards bow on the squeegee. Loosen the two (2) nuts in the middle of the squeegee’s holder to adjust. Roller wheel height adjustment allows for maximum blade wear life. Individual blades are completely interchangeable and all 4 sides are useable for incredible long life. Sign up & be the first to hear about Special Pricing, New Products, Demo Inventory and More! 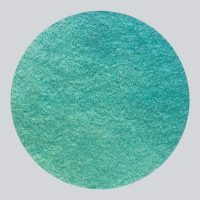 Email ICS With comments, product questions, etc.